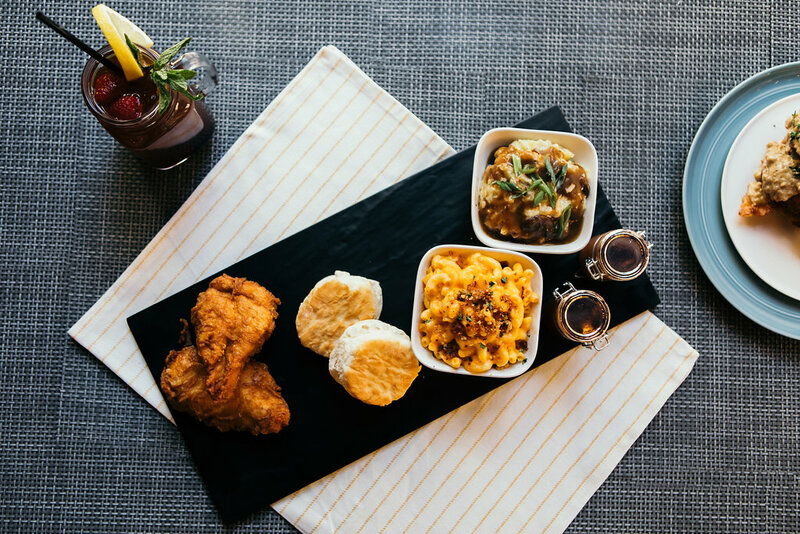 Downtown Richmond’s Belle & James will introduce a little southern charm to their area of the city this week as they relaunch with a new name and concept. The East Main Street French-American restaurant, which opened in 2014, has rebranded as “Belle,” with their current chef Ro Alarahim at the helm to create a southern kitchen and bar serving up southern comfort food made with local ingredients and “house-made flavors.” Including a variety of options from appetizers to entrees, Belle’s menu will offer pimento beignets, a staple on their current menu, along with creole chili, fried chicken and shrimp platters with sides and house-made biscuits, jambalaya, mac and cheese, sandwiches, along with vegetarian and vegan options like fried tofu, roasted crimini mushroom ravioli, and salads. And fans of Belle & James’ craft cocktails need not fret, they are going anywhere, but a few new ones are getting added to the mix including Beets By Belle, Sweet Basil Gin Smash. Belle’s official relaunch will be Fri., March 16, with changes to signage, menus, some small interior changes to reflect Belle’s new concept, and a website following soon after. Check out their progress on Instagram @bellerva. We’re back with another Skyball event at Belle and James! 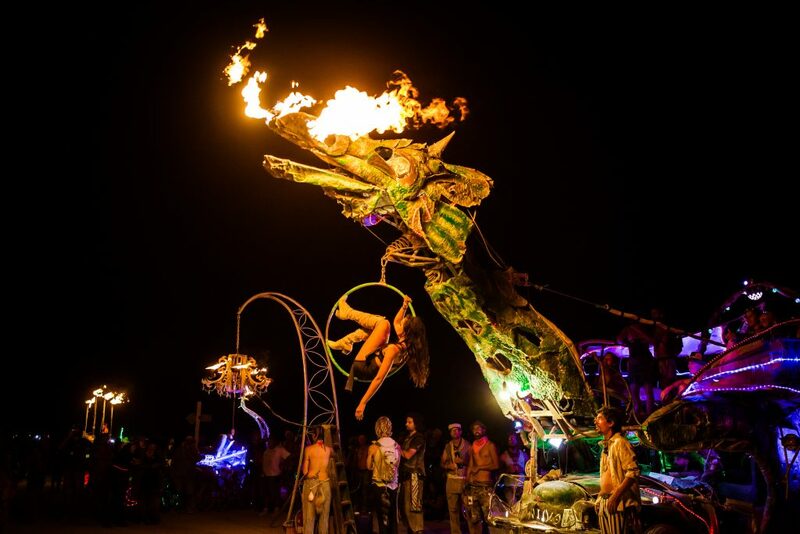 Early Discounted Prices only available for the first 100 Tickets! Belle & James Premier NYE Event SKYBALL 2018. You only live twice. 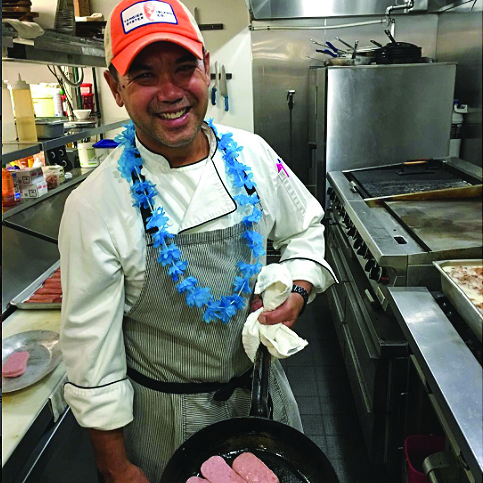 I first had the chance to try a menu prepared by restaurant veteran Mike Ledesma back in August when he was brought on to serve as Executive Chef at Kabana Rooftop. 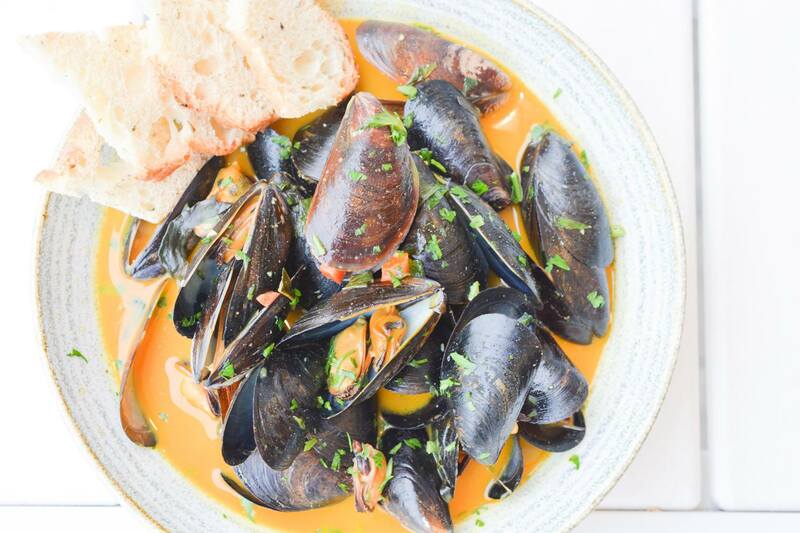 From Chili-lime mussels in a coconut curry broth to ribs and tandoori lamb and fried oysters, his creativity with the cuisine is abound over at the East Main Street restaurant and bar so if you haven’t been to try it out, I suggest heading up there one night for some cocktails and a meal. Anyway, when I heard Chef Ledesma was putting on pop up dinners at Belle & James, the restaurant below Kabana, I had to venture out to try his latest dishes. 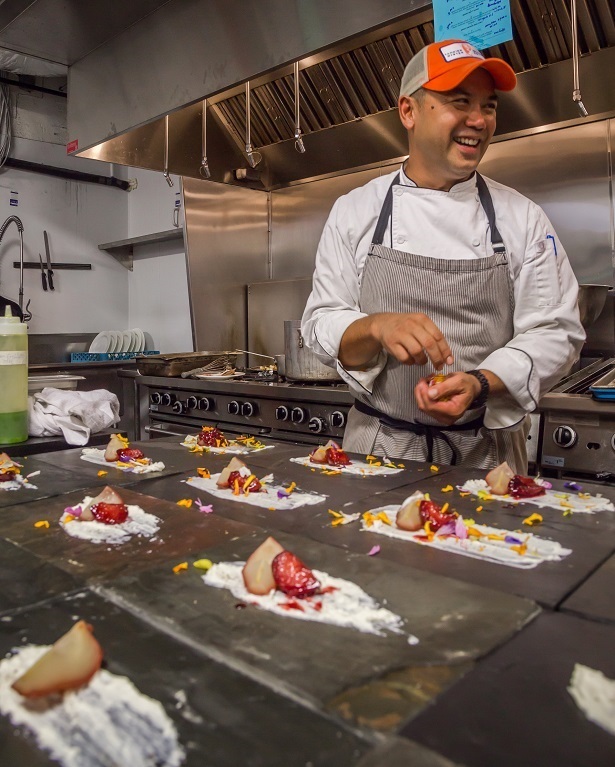 Belle & James is currently hosting “Passport Pop Ups” on Friday and Saturday evenings and was created by Ledesma and restaurant owner Kunal Shah to introduce Richmond to flavors, recipes and traditional cuisines from around the world. The restaurant completed a successful pop-up with the Philippines and decided to continue with a different country every three months. Passport Pop-up includes a-la-carte dishes with the option of a Chef Tasting for those who want to try it all, using traditional ingredients and aspects of the featured country along with signature cocktails and wine pairings to enhance the flavors of the dishes. 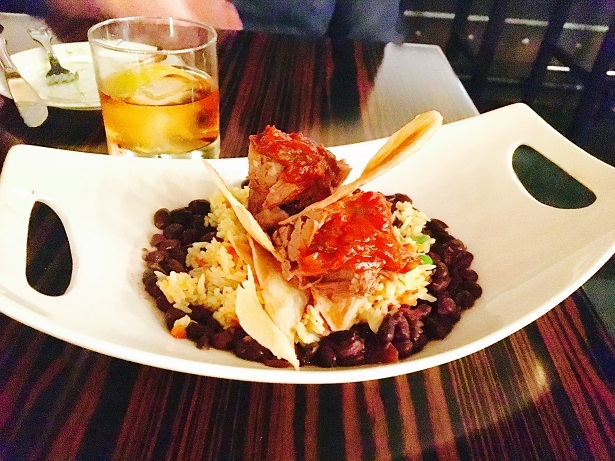 A few weeks ago, my fiancé and I had the pleasure of trying out their latest pop-up featuring dishes and traditional cuisine from Cuba. 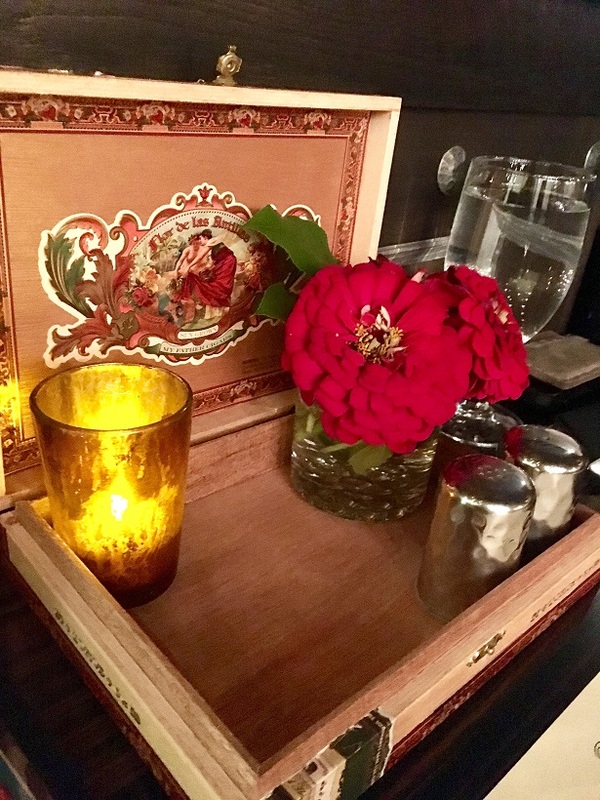 As soon as you walked in you were transported into Havana with festive music, and candles, red flowers and Cuban cigar boxes on the tables. We started with cocktails. 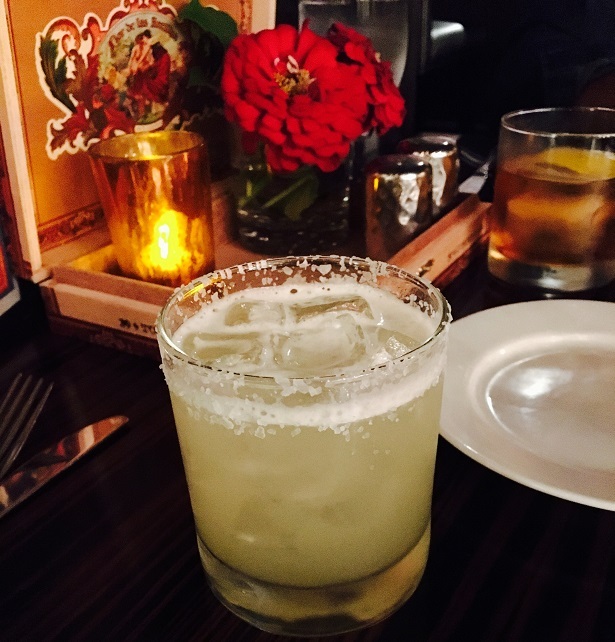 I opted for the Cubanita, a twist on the everyday margarita made with Camarena Silver Tequila, pineapple juice, lemonade, and lime. It was delicious and fresh and a must try if you choose to go to the pop-up. My fiancé enjoyed their Cuban Old Fashioned, made with an aged rum. Not for me, but definitely a manly drink that packed a punch with some flavor. 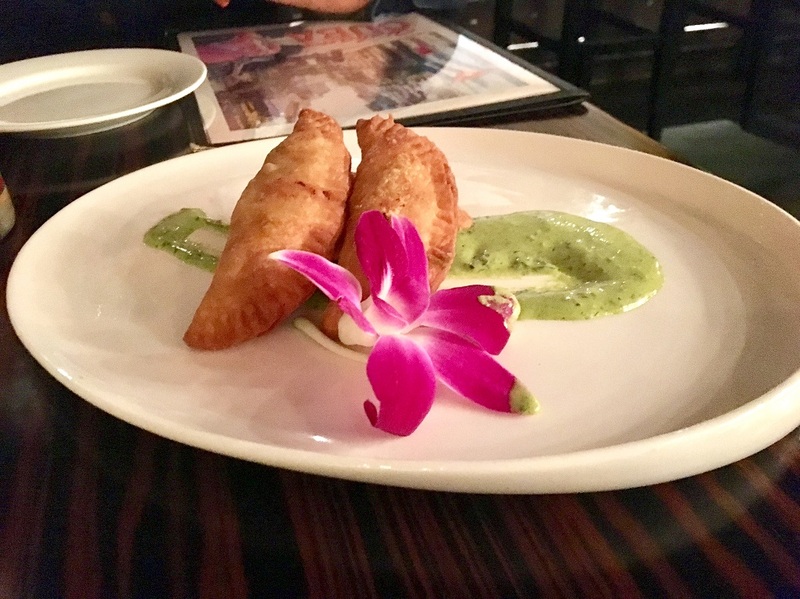 To curb our appetites, we ordered the empanadas which came with a savory, creamy chimichurri sauce and we couldn’t get enough of it. The spicy ground beef and green olives were a delicious combination with the sauce and one of my favorite dishes of the night. This, along with every dish was plated and presented beautifully. Next, Chef Ledesma brought Ropa Vieja to our table, which dazzled on the plate as well as the palette with all the different colors and flavors. With 12-hour braised and shredded flank steak as the star, the dish was supported by black beans, rice, peppers, onions, plantains, and yuca in a tomato base. This was easily my fiancé’s favorite dish of the night, he couldn’t stop raving about it. The meat was so tender and flavorful and a burst of different spices danced around in my mouth as soon as I took the first bite. The savory dish was filling and cozy. 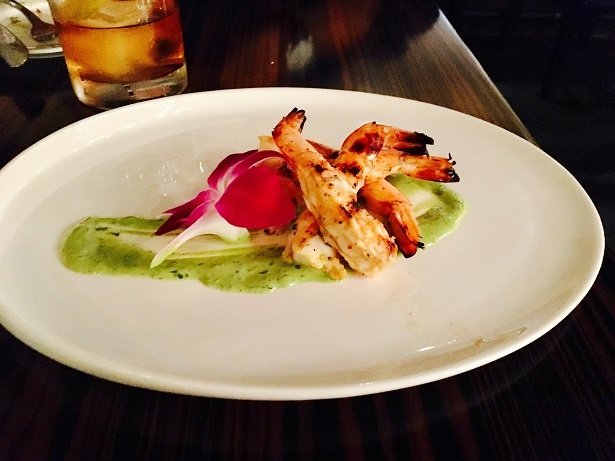 After that, Cuban Mojo Shrimp were brought to the table delicately placed on a plate with a flower and some more of that delicious chimichurri sauce. The huge shrimp were marinated in garlic and orange juice, chili flakes, oregano, and cumin and were juicy and not chewy at all. It was a good little appetizer to satisfy your cravings and pair with a cocktail while we awaited our main course. For the main dish, we decided to try the paella which is big enough for two people, maybe even three to share. 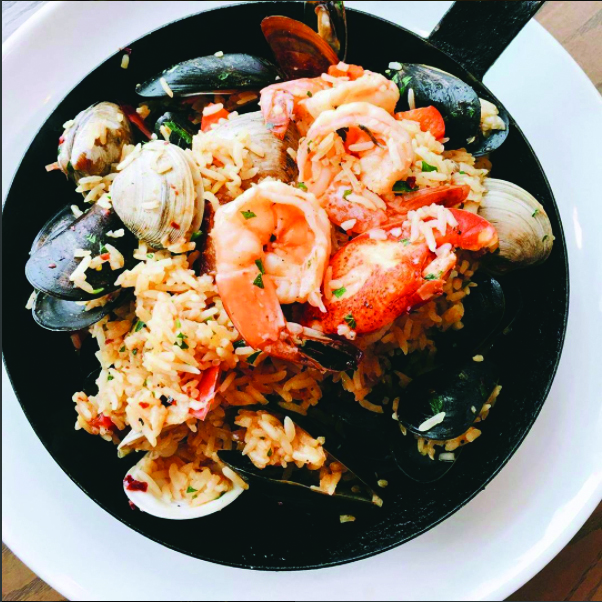 It’s brimming over with flavor and comes steaming hot in a cast iron skillet packed with New England lobster, mussels, clams, Spanish chorizo, and peas, mixed together splendidly with rice. It was hands down one of the best paella dishes I’ve tasted. I loved the spicy chorizo and the shrimp were huge. Some paella dishes only come with a few pieces of protein and are packed with rice, but as you can see from the picture below, that wasn’t a problem. I will say the only item I wasn’t absolutely crazy about in the dish was the lobster, but it could have been just me because my fiancé thought it tasted great. 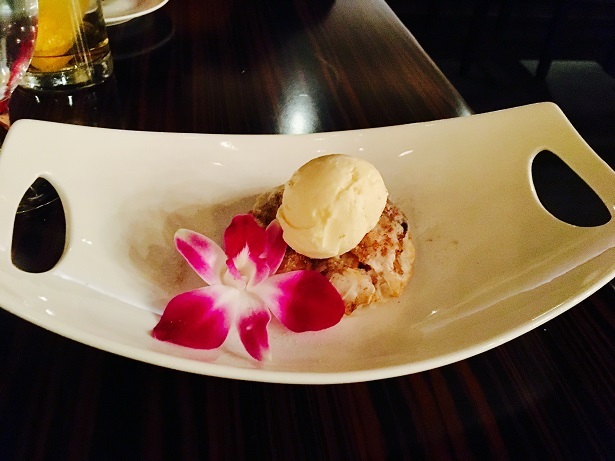 For our final course, we decided to try the plantain tarte, a soft and flaky puff pastry made with plantains, cinnamon, and rum topped with a scoop of ice cream. It wasn’t too sweet and was the perfect size to wrap up your meal so your sweet tooth was satisfied, but didn’t leave feeling overstuffed. 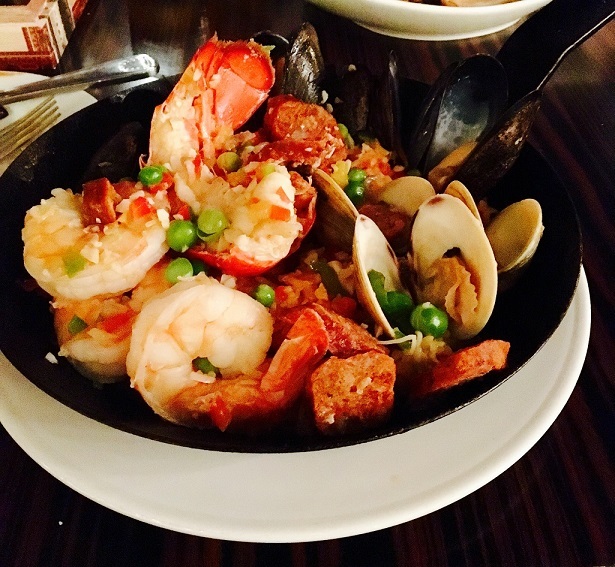 All of the appetizers at Belle & James’ Cuban Pop Up are under $15 and all of the entrees are under $30 with the exception of the paella, which serves two people. From the atmosphere to the music, the cocktails, and the delicious dishes, the Cuba Passport Pop Up is sure to satisfy any palette and if this one is any indication of forthcoming pop ups, the series is bound for success. The next Cuban Pop Up will kick off this Friday and Saturday night. Be sure to go try it before it comes to a close Dec. 29. 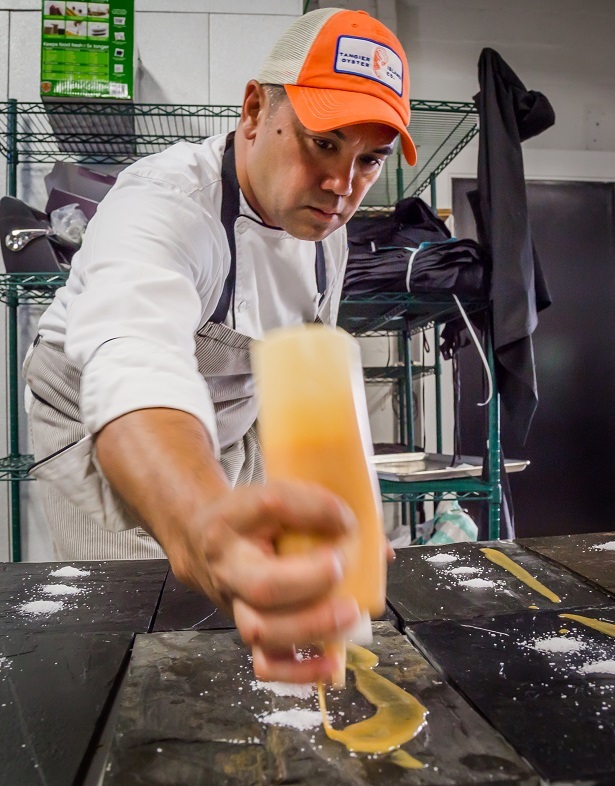 And be on the lookout for an in-depth interview with Chef Ledesma in the next print issue of RVA Magazine! 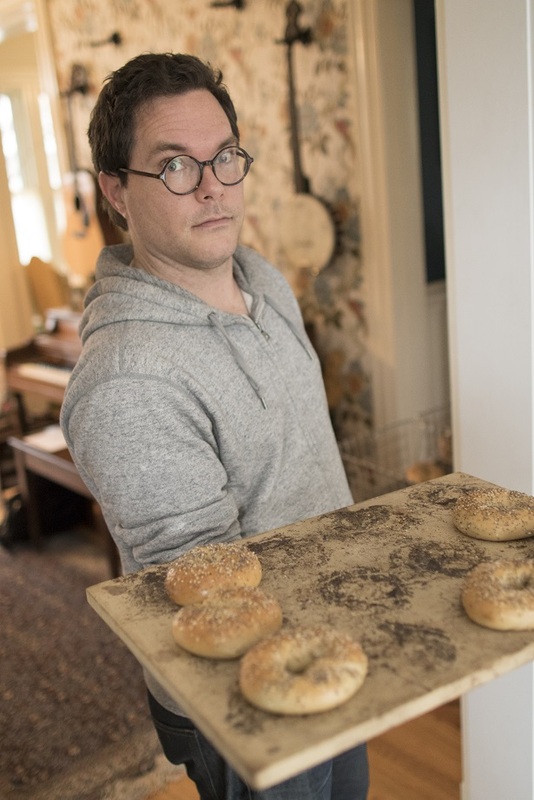 Now we’re into our third installment of GOOD EATS RVA, filled to the brim with restaurant news, new menus at local eateries, chef series and more. If you’re still among the few who missed RVA Magazine’s launch of GOOD EATS RVA, head over here to check it out. Just as before, we’ve got a big helping this go around, so make some more room on your plate and pull up a chair and get ready for some GOOD EATS. From March 6-12, a number of local Black-owned restaurants, coffee shops and other establishments will celebrate Richmond Black Restaurant Week to offer dining deals to bring in new customers and raise awareness. According to the Facebook page, 20 restaurants are participating including Croaker’s Spot, Mama J’s, Sugar’s Crab Shach, Charlie’s Kitchen and more. Stay tuned to a more in-depth interview on this new event. Enjoy $15.00 two course lunches and $25.00 three course dinners. Richmond is the latest city to host Black Restaurant Week. Memphis, St. Louis, and Birmingham are also hosting their own Black Restaurant Weeks either this week or next. No calls were returned by press time, but the website states that Black Restaurant Week is an “opportunity for Black-Owned restaurants to offer dining deals to bring in new customers and raise awareness. It allows the country to support minority owned eateries. Popular RVA food truck Mean Bird, which serves traditional and vegan fried chicken around town has just scored itself a brick and mortar spot in the former Sticky ToGoGo space. You can usually find them at Hardywood, Isley for their brunch and other spots about town. The couple announced on their Facebook page Feb. 25 that they would be moving their business into the space at 2227 Main St and plan to open in the next couple of months. Co-owner Sarah Moore said in an email that the space will mainly be a take out restaurant and market with possibly a few seats. Mean Bird was starting to outgrow the food truck according to Moore and needed to expand to accommodate their customer base. 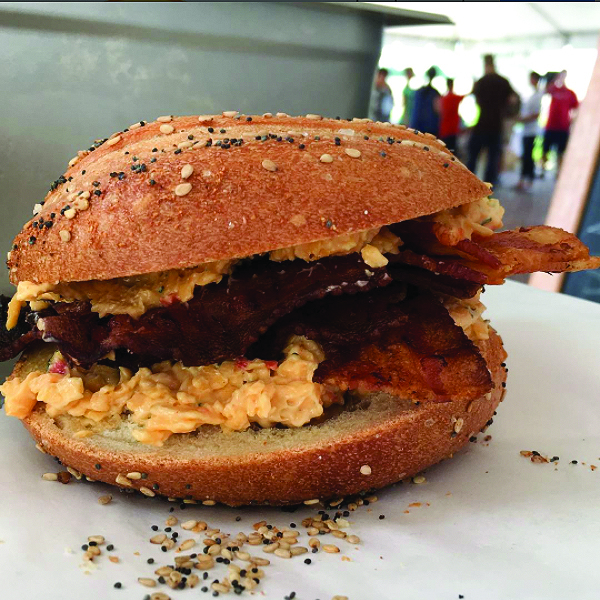 Strawberry Street Cafe has recently added a $6 craft burger menu with a bacon and mac and cheese burger, pimento cheese burger and more. See the menu below. Kitchen on Cary also hosts “UnPlugged and Uncorked” every Thursday night featuring half off select bottles of wine and live music. On Sunday, March 19, the restaurant will host chef author Letizia Mattiacci all the way from Umbria Italy for their Wood-Fired, Umbria-Inspired Book Dinner. Over a five-course dinner, Letizia will be sharing stories and recipes from her new book A Kitchen With A View. Letizia owns Alla Madonna del Piatto bed and breakfast and cooking school where she has offered hands-on classes for over a decade. Nota Bene’s chef Randall Doetzer collaborates for a seasonal and regional wood-fired menu available through the evening. This five-course dinner is $65 per person with an additional wine pairing and Letizia’s book available during the event. A limited number of tickets will be available during each seating and can be purchased in advance here. 5 p.m. – 9 p.m.
Local pop up restaurant The Jackdaw (which you can read more about in our upcoming print issue!) is hosting its first Kamayan Feast at Citizen on Sunday, March 12. Kamay is the Filipino word for hand. Kamayan means to either shake hands or since this is about food and this particular event, it would mean eating using only your hands. Kamayan has placed this traditional way of eating with hands on a pedestal and turned it into a real art form. This is a good way to kick back, relax, and get to know your neighbor while eating a feast on banana leaves. Tickets are $50 and can be purchased through Eventbrite here. Menu items include fied chicken biscuit, ham and sausage biscuit topped with cheeses, spreads and eggs and the Cubano. The shop boasts such donut flavors as Maple Bacon Bar and Crème Brulee. Rise Richmond (Short Pump) will be located at 11561 W. Broad St., across the street from Short Pump Town Center. Check out Rise Richmond’s Facebook page here. 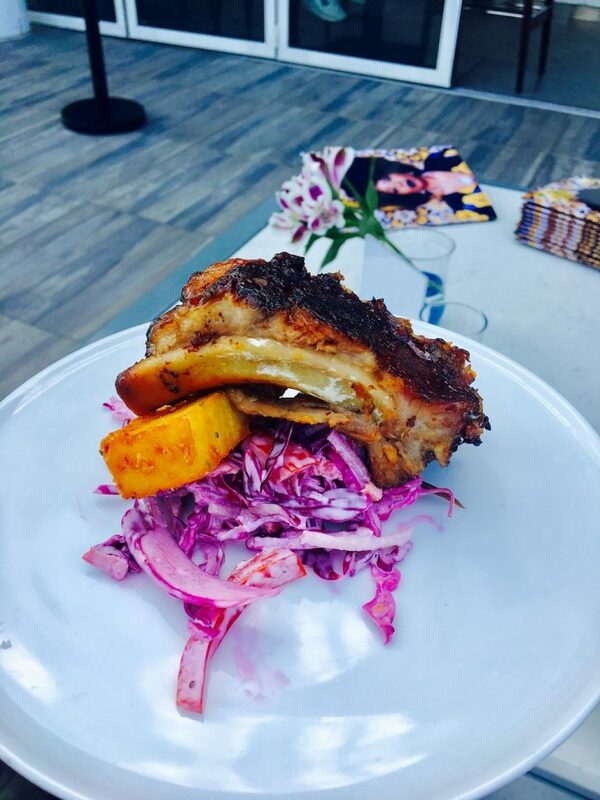 Kabana Rooftop has rolled out a very diverse menu. Greek meatballs with house ground lamb, feta and taztiki, Pergories, a pulled chicken, rice and avocado burrito, and a steak and cheese taquito are just some of the dishes. See the full menu below. Every Tuesday, Kabana also has Jazz over the James featuring live jazz music during dinner with select half price bottles of wines and champagnes. According to their Instagram, Early Bird Biscuit Co. & Bakery will be coming back home to Northside. Not in their exact space on Lakeside Avenue, but the biscuit and sweets shop has secured a space at 1221 Bellevue Avenue. Not to worry Fan residents, your beloved biscuits will stay put at Early Bird’s Robinson Street location. No longer do craft beer lovers need to make the trip up to the store or brewery to fill up their growlers. Growlers To Go has partnered up with local bike courier company Quickness RVA to deliver the beer of its 50 plus kegs that are tap to the masses. In the future, Quickness RVA plans to work out a subscription ABC delivery by bike with the company. Scott’s Addition recently got its own monthly artisan market and brunch spot in the Urban Roost event space, The Brunch Market. Music, local shopping, brunch, and bar to make for the perfect Sunday Funday. The new event space by Lunch.SUPPER! offers a beautiful layout, open air garage doors, full bar, and custom farm tables. Their next event is Sunday, March 19 from 11am-4pm. Brunch bites and cocktails served walk-up style with 20 local retailers all under one roof. Check the link above for vendors. 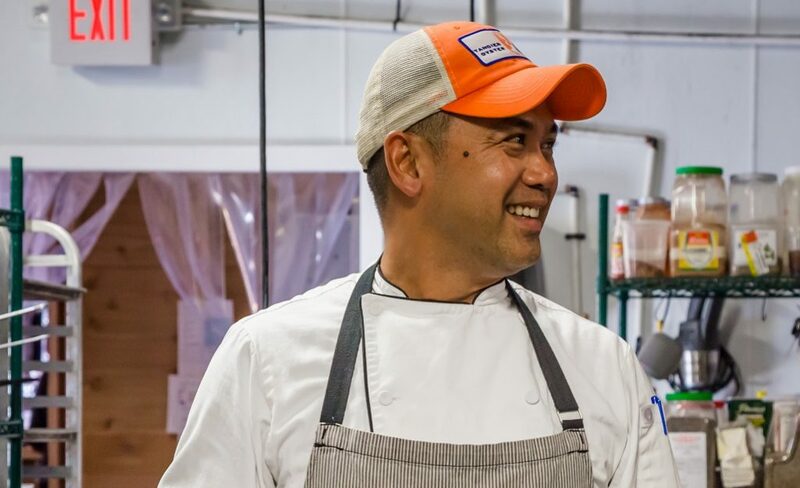 3023 W. Marshall St.
On Wednesday, EAT Partners restaurant on East Grace Street, Wong Gonzalez will host a beer dinner featuring Charlottesville’s South Street Brewery’s brews. Enjoy 5 delicious beer from the Charlottesville brewery paired with Chef Ken’s Latin-Asian fusion. Only $50 a person, make your reservations today by visiting wonggonzlez.com or calling (804)-788-9000. 6:30-9:30pm. Laura Lee’s restaurant at 3410 Semmes Avenue started serving brunch last weekend. Starts at 10:30am. You can see a sneak peek below and the full brunch menu here. As you found out in the first edition of GOOD EATS RVA, Quirk Hotel has launched Wine Table Tuesdays, where each week, a new organization/charity will be featured and $2 of all wine tastings will be donated to the specific charity. $17 per person (includes 4 tastings). Tonight, Quirk Hotel will donate proceeds to the World Pediatric Project and next week, March 14, the Wine Table event will benefit the Legal Aid Justice Center. Weezie’s Kitchen in Carytown has just put out a mouth-watering specials menu for dinner along with some wines. The restaurant has added some new burgers, wings, chicken and waffles, and chicken and biscuits. Check out the menu below and drool over the photos while you’re at it. Head over to RVA Magazine’s instagram @rvamag to check out more photos of local good eats.